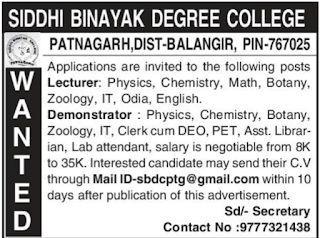 Siddhi Binayak Degree College, Balangir,has advertised in THE Samaja newspaper for recruitment of LECTURER jobs vacancies. 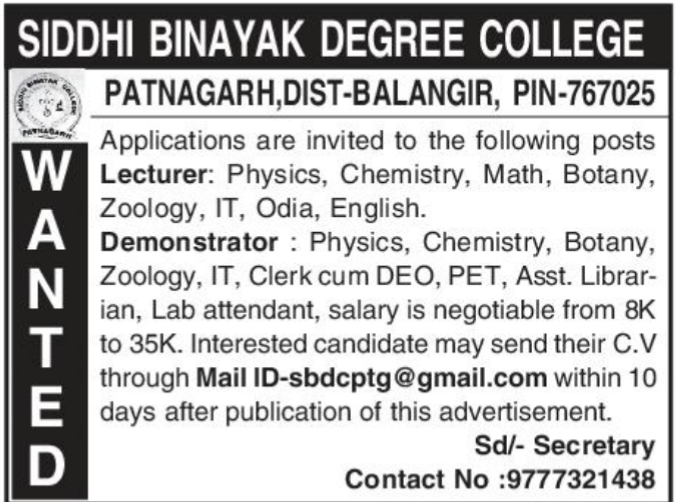 Interested and eligible job aspirants are requested to apply with in 10 days. Check out further more details below. salary is negotiable from 8k to 35k. How to Apply: Interested candidates may send their CV through mail id with in 10 days.